Sub-Title: By H. H. Johnston, H.M. Vice Consul, and German Authorities. Notes: Associated with book ID 553. 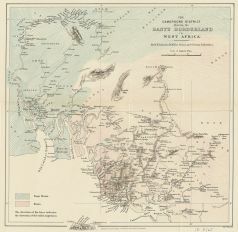 On the center, bottom of the map, outside the neat line "Published for the Proceedings of the Royal Geographical Society, 1888."